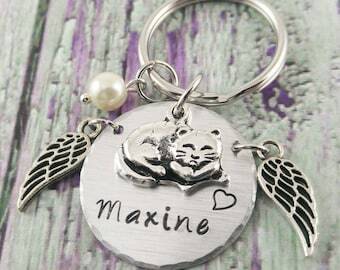 This unique cat memorial keychain will make a great remembrance gift for the Cat Lover. 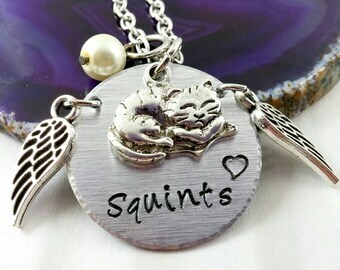 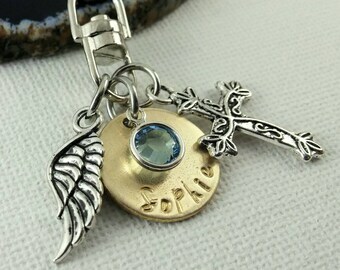 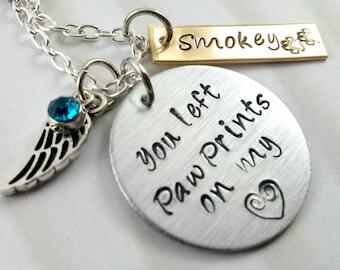 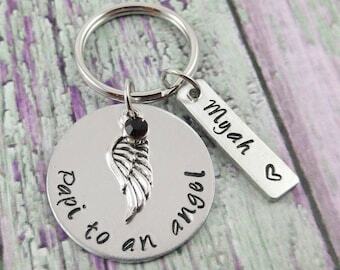 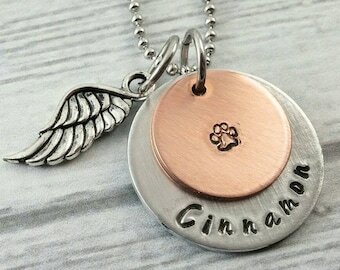 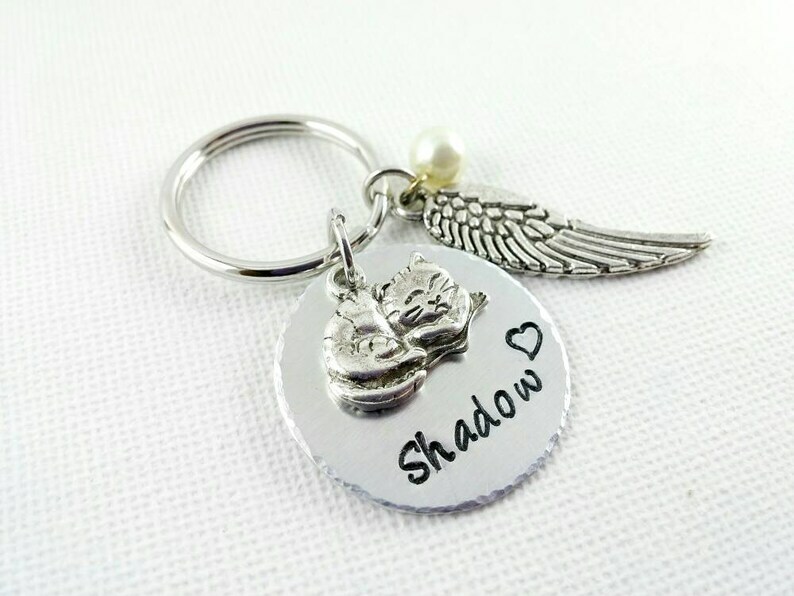 I used a soft brushed aluminum disc for the name, a glass bead, a lovely cat charm and an antique silver tone angel wing. 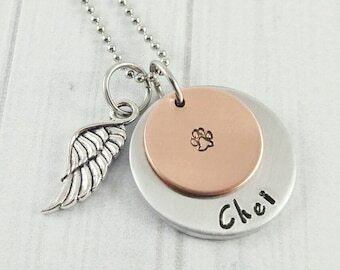 Please write the name of your cat in the message box upon checkout. 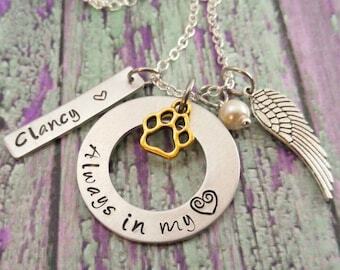 Max 8 letters, please. 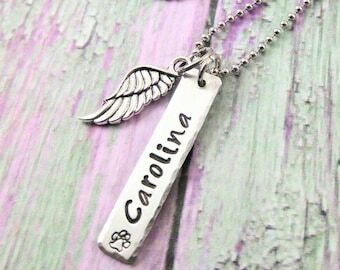 Beautiful and just what I wanted! 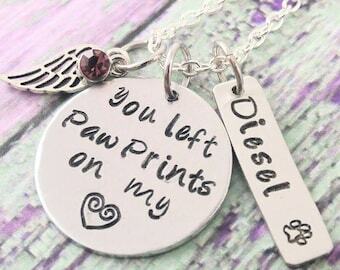 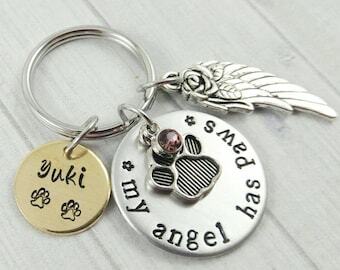 Bought it as a gift for someone who lost a dog.